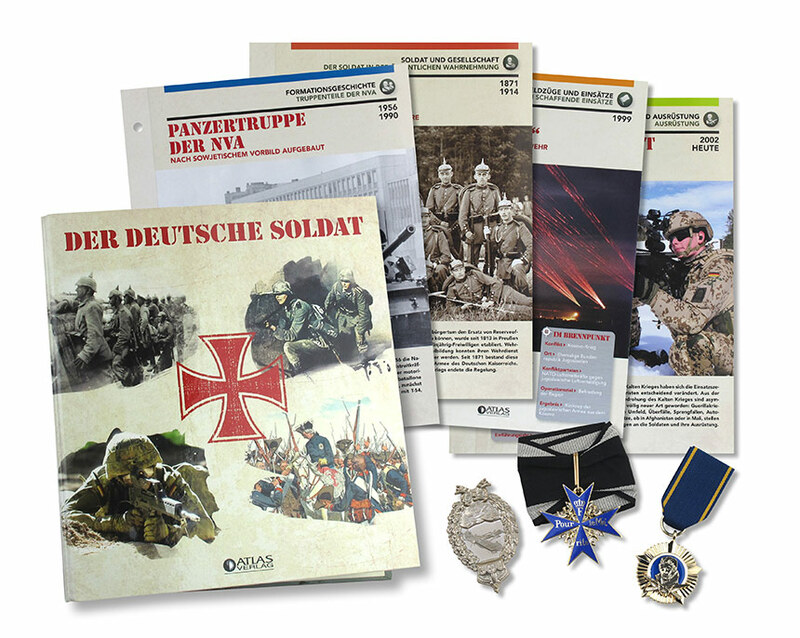 Portrayal of the German army from its beginnings to the present day spanning several hundred four-page collector cards. Rubrics such as “Military Organisation”, “Campaigns and Missions”, and “Soldier and Society” give an extensive insight into this complex topic that is both critical and appreciative. The collector cards come with replicas of historic medals. Concept, text and design by AFR. 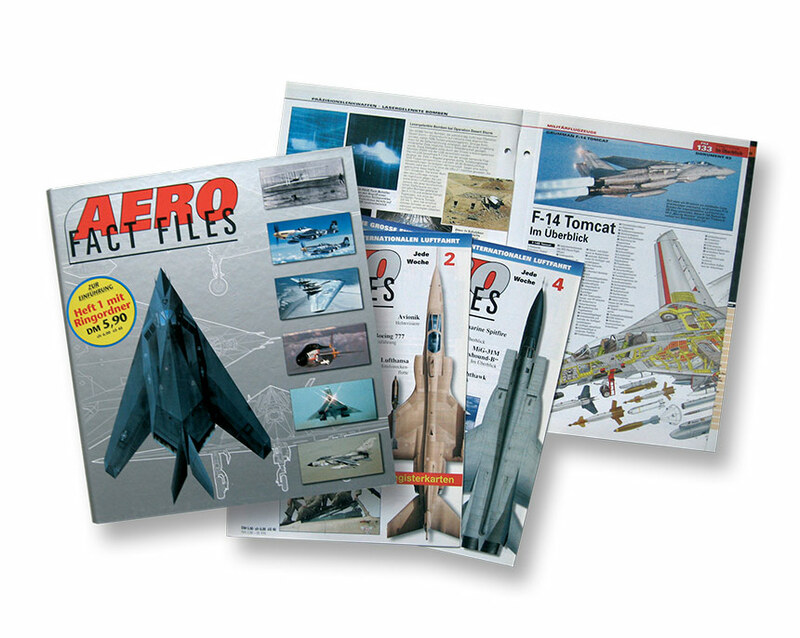 Compilation of pull-out magazines with ring folder on the subject of civil and military aircraft. Adopted from the English version. 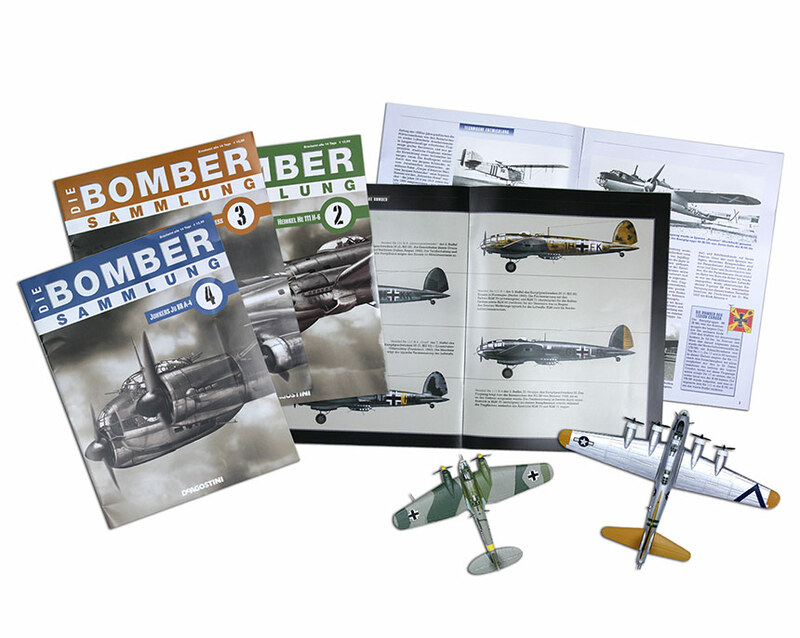 Accompanying magazines to a collection of bomber models of World War II. Detailed technical and historical information on each type of aircraft. 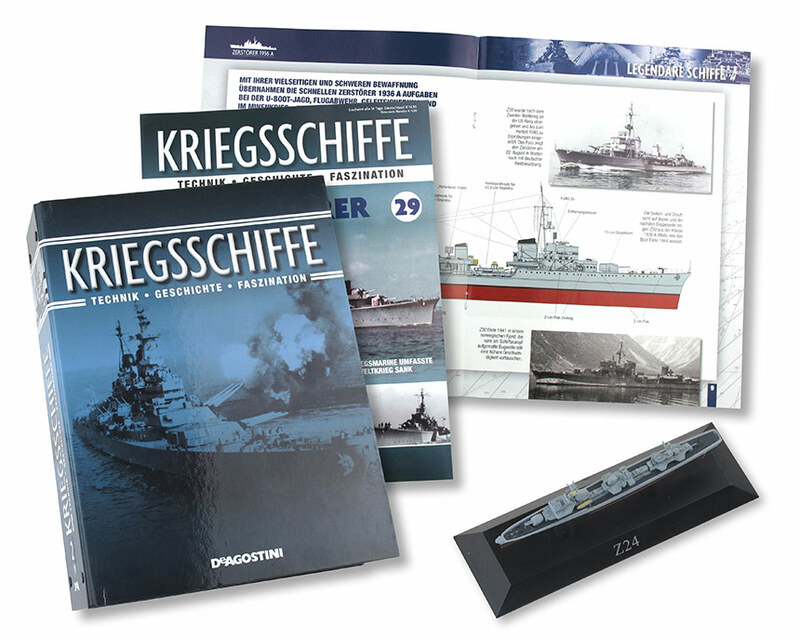 Adaption of French magazines for the German-speaking market. 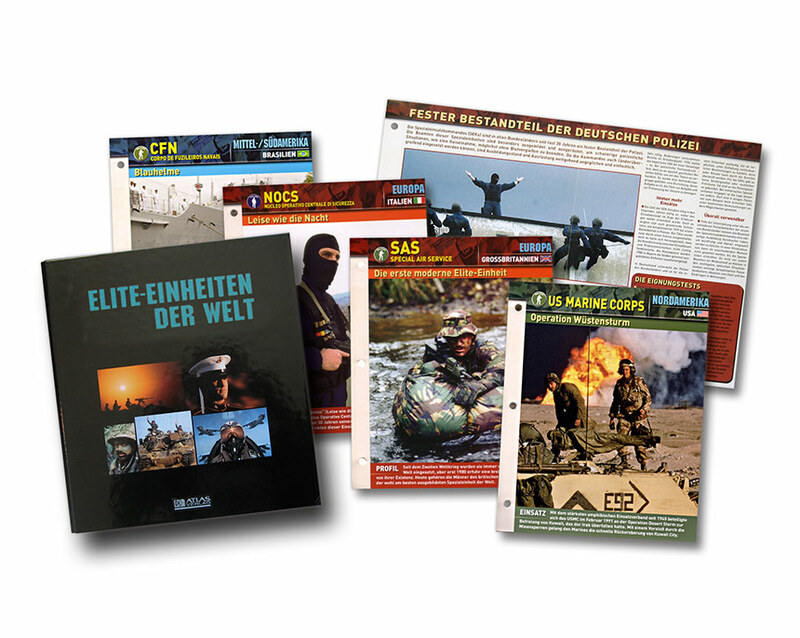 Compilation made up of four-sided folding reference files on the structure and deployment of elite military, police and special units. 700 pull-out files. 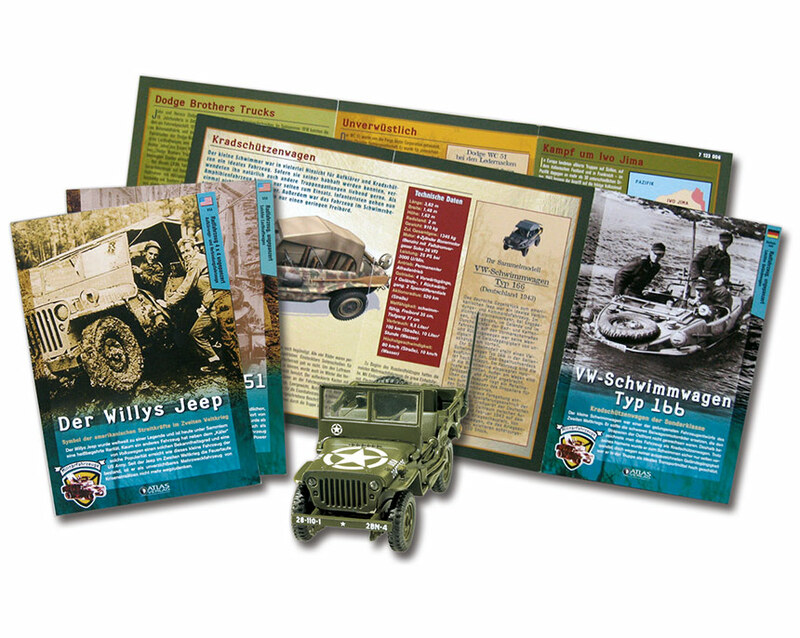 Magazines containing technical and historical information to complement metal military models. 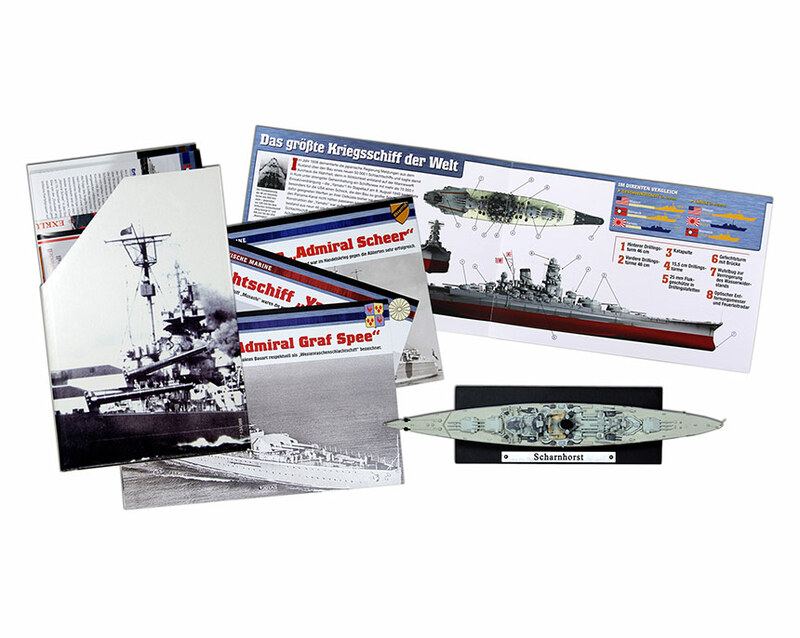 Accompanying booklets to a collection of warship models. Detailed technical and historical information on each type. 33 issues. From the English original. 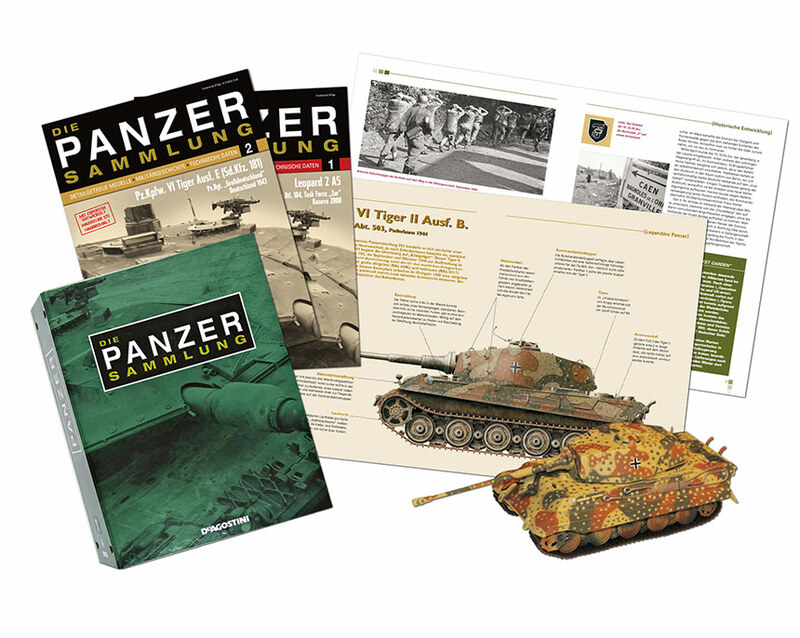 Accompanying magazines to a collection of tank models from around the world (with a focus on Germany). Detailed technical and historical information on each type of tank. 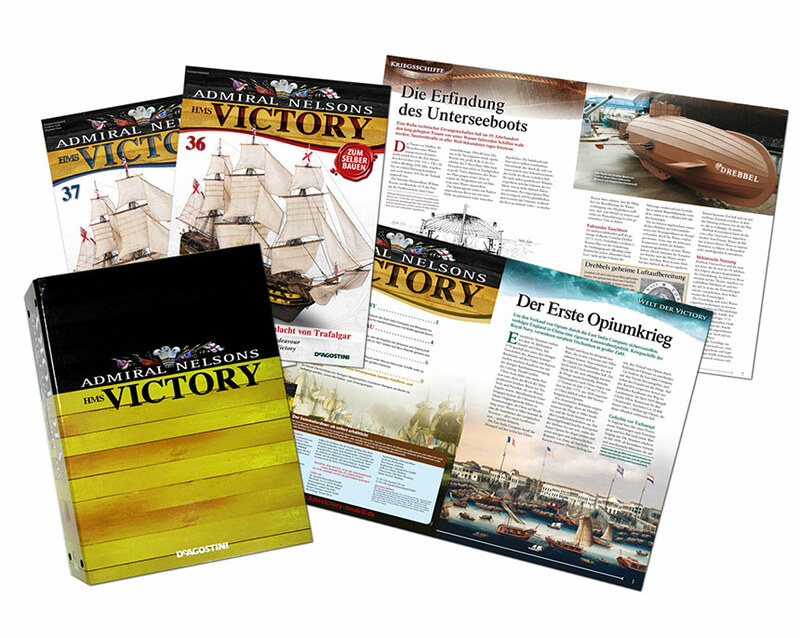 Adaption of English and French magazines for the German-speaking market. 110 issues. 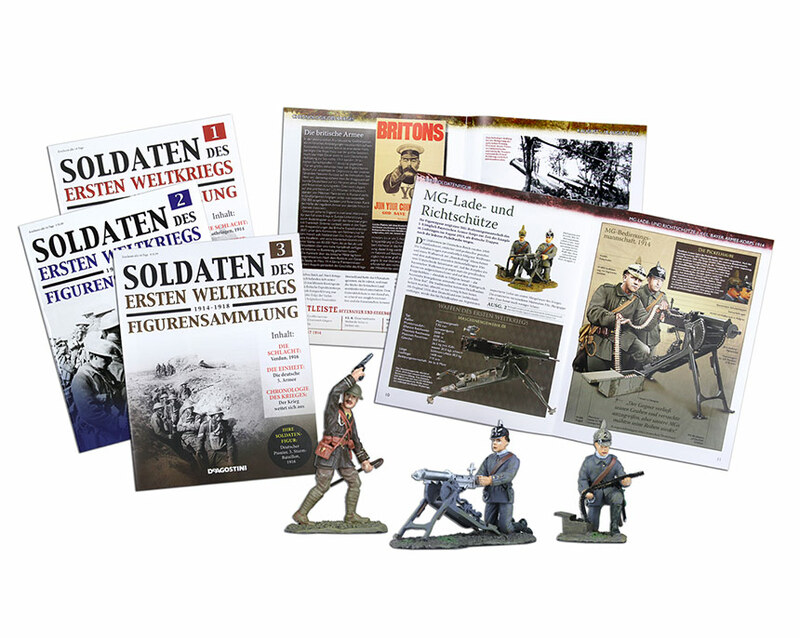 Accompanying magazines to a collection of miniature lead soldiers of the Great War. Detailed military and historical information on each soldier. Adaption from the English language edition THE SOLDIERS OF THE GREAT WAR for the German-speaking market.